Discuss about the Report for Advanced Accounting of Annual Reports of JB HI-FI Limited. This assignment is based on the subject of Advanced Accounting. During this assignment, the annual reports of JB HI-FI Limited and Harvey Norman Holdings Limited are analyzed in order to identify the extent to which the companies have followed the AASB (Australian Accounting Standard Board) standards. At the same time, the assignment has also compared the standards of annual reports of these two companies. 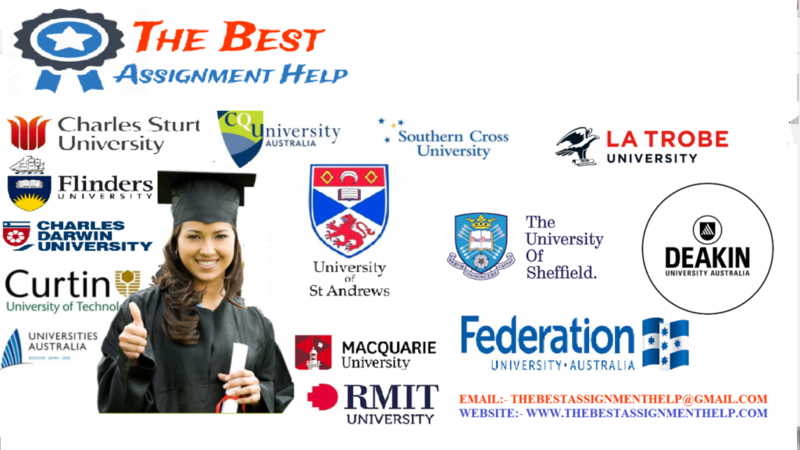 At the end of the assignment, conclusion is derived by considering the key findings of the assignment. Along with the conclusion, the assignment also provides some recommendations for the improvements of annual reports of the companies. JB HI-FI Limited is one of the most popular retail organizations in Australia. The company is operating its business since 1974 and currently, it is located at 210 places. The company deals with the electronic products along with CDs and DVDs. As per the last year’s annual report, the company has earned profit of $135,555,000 and total revenue of the company was $3,456,016,000. The amount of total equity of the company in last year was $344,461,000 (Jbhifi.com.au 2016). Harvey Norman Holdings Limited is another large retail organization in Australia and it is operating its business since 1982. Presently, Harvey Norman Holdings Limited is operating business at 194 places in Australia and 86 places in the foreign countries. The company is having total 10000 employees only in Australia. The last year’s annual report has disclosed that Harvey Norman has earned revenue of $1,101,286 and the company was able to enhance the profit by 25.6% than last year (Harveynormanholdings.com.au 2016). However, if the annual reports of JB HI-FI Limited and Harvey Norman Holdings Limited are compared, then it can be identified that both of the companies have followed the standards set by Australian Accounting Standards Board or AASB. As per the auditor’s report presented in the latest annual report of JB HI-FI Limited, the company has provided the true and fair financial reports as required by AASB and Corporation Act 2001 (Jbhifi.com.au 2016). At the same time, the annual report of JB HI-FI Limited also mentioned that the presentation of the financial statement of the company has been done complying with the International Financial Reporting Standards s required by Accounting Standards AASB 101 (Jbhifi.com.au 2016). On the other side, the annual report of Harvey Norman Holdings Limited has also mentioned that the company has prepared the annual report as per the Australian Accounting Standards Board or AASB and International Financial Reporting Standards or IFRS. At the same time, the annual report noted that Harvey Norman Holdings Limited has also followed the Corporation Act 2001 (Harveynormanholdings.com.au 2016). Annual report of the companies must disclose all of the financial information that affects the interest of the stakeholders (AASB, C.A.S 2016). The financial statements must be presented in a way that ensures that comparability of the current year’s financial figures with the previous periods. The financial statements must be presented as per AASB 164, which suggests for interim financial reporting (Bond, Govendir and Wells 2016). In the above extracts, it can be identified that JB HI-FI Limited has prepared the consolidated financial statements and at the same time, it can also be seen that the financial report has provided the fair view of financial position. Along with that, the disclosure policy of the company is also clear in the above extract. The last extract from the annual report is clearly indicating the AASB standards that the company has followed. In the above extracts from the annual report of Harvey Norman Holdings Limited, it can be seen that the company has followed the standards of AASB. The company has also prepared the consolidated annual report. The extracts from annual report is also disclosing that the financial report has been prepared by following the historical cost method. However, the valuation of the land and buildings, investment properties, listed shares, derivative financial instruments has been done based on the fair value method. Therefore, the annual report of Harvey Norman Holdings Limited is indicating that the company has not properly followed the guidelines provided in the AASB in case of measurements of the financial values excepts some of the assets. On the other side, in the annual report of the company it has been mentioned that the corporate governance is good but there is nothing mentioned to support that the corporate governance is good. The director’s report of the company has stated that the company has followed the principles of good corporate governance but which principles the company has followed has not mentioned in the report. On the other side, the annual report of JB HI-FI Limited has not mentioned about the corporate governance policies clearly. The company has stated that it has followed the relevant corporate governance standards but nothing is mentioned about the policies of corporate governance. Moreover, the annual report of the company has not maintained AASB 137 properly. As per AASB 137, an entity is bound to disclose the contingent liabilities if it considers itself responsible towards the society. However, if the annual report of Harvey Norman Holdings Limited is noticed, then it can be seen that the annual report has clearly disclosed the contingent liabilities of the company. The annual reports of Harvey Norman Holdings Limited and JB HI-FI Limited have nothing mentioned about their CSR (Corporate Social Responsibilities). However, as per the standards of corporate reporting, it is essential for the organizations to mentioned about their corporate social responsibilities in the annual reports (Council 2015). 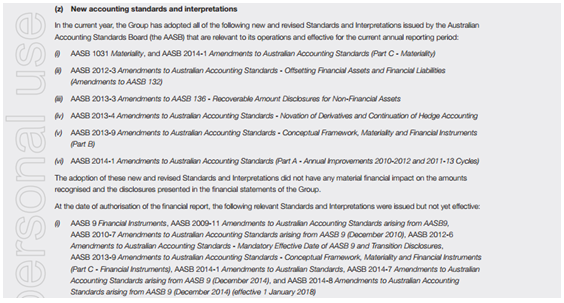 Australian Accounting Standards Board is under the International Financial Reporting Standards and disclosing the corporate social responsibilities is mandated by IFRS (Kent, P. and Zunker 2015). On the other side, the annual reports of these two companies have stated the consolidated financial statements for only two years – 1. The year for which the report is prepared that is 2015 and 2. One previous year that is 2014. However, as per the standards stated in AASB, the companies are required produce the financial statements for current year and that must show the comparability of previous years (Dakis 2016). This is clearly indicating that the companies have not fulfilled the AASB requirements properly. The reason for which the companies have manipulated their annual reports may be less knowledge of the accountants. It can be happened that the accountants are not aware of the requirements of the AASB standards. However, Rudzani and Manda (2016) argued that the preparation of annual report is not the sole responsibility of the accountants. The annual report of a company represents the company and its financial performance. Therefore, it is the duty of the higher authority to check the annual reports before it is published. There may be an intension of misstating the financial transactions in the annual reports. Lockwood (2015) commented that the companies sometimes ignore the AASB or IFRS standards in order to enjoy some unethical benefits like, tax evasion or paying less return to the shareholders and investors. For example, in the annual reports of JB HI-FI Limited, the company has not mentioned about the contingent liabilities, which indicates that the company is not responsible towards the society as per AASB 137 (Zhou, Birt and Rankin 2015). Due to this, the company can easily avoid its social responsibilities, which can increase its profit level or minimize its costs. Apart from that, in the 2015’s annual report, the companies have not showed the comparison between the financial performance of 2015 and previous few years. This can be interpreted as the companies had intension to under-state some financial figures or values, which helps the companies to conduct tax evasion. At the same time, the companies can over-state the financial values in order to mislead the investors. The unclear corporate governance policies in the annual report of the companies may be the effect of companies’ intension to mislead the external stakeholders (Dakis 2016). In the annual reports of the companies it is only written that the corporate governance has followed the good corporate governance principles but the stakeholders will not get any idea about the corporate governance policies by reading this statement. The companies JB HI-FI Limited and Harvey Norman Holdings Limited are the well-known business organizations in Australia as well as in the international market. However, if the annual reports of these two companies are compared, then it can be identified that the annual reports of the two companies have followed more or less similar formats and standards. The annual reports of both the companies have mentioned that they have followed the AASB requirements. The annual reports of Harvey Norman Holdings Limited and JB HI-FI Limited have followed the AASB 1031 Materiallty, AASB 2012-3, AASB 2013-4. However, there are few differences between the annual reports of the two companies. For example, in JB HI-FI Limited, the annual report has mentioned that the company has followed the AASB standards like, AASB 2013-3, AASB 2013-9 but in case of Harvey Norman Holdings Limited, the annual report stated that the company has followed AASB 2013-5 other than AASB 2012-3 and AASB 2013-4. There is a similarity between the two annual reports and that is in the valuation in the financial transactions. In the annual reports of both the companies, it has been identified that they has valued or measured the financial transactions other than few assets and transactions as per the historical cost method. In case of land and buildings, derivative financial instruments, listed shares the valuation is done as per the fair value method. In this assignment, it has been identified that the annual reports of JB HI-FI Limited and Harvey Norman Holdings Limited have followed the standards provided in Australian Accounting Standards Board. During the analysis in the assignment, some extracts from the annual reports of the companies have been provided, which disclosed the truth of maintaining the AASB standards. However, in the in-depth analysis of the annual reports, it has been found out that in some cases, the companies have not followed the standards or requirements of AASB properly. In case of valuation of the assets and other financial transactions, the companies have followed both historical cost and fair value methods while measuring the assets and other financial transactions and instruments. In the comparison between the annual reports of the both the companies, it has been identified that the annual reports of both the companies are more or less similar. However, there are some differences between the two annual reports. The AASB standards which are followed by the companies different in both the companies. However, few standards are common in both the companies. The companies need to follow the AASB standards properly. The companies need to show the consolidated financial statements for at least last three years so that the comparison can be done properly. At the same time, the companies must state about their corporate social responsibility activities in their annual reports. Along with that, the companies also need to mention their contingent liabilities in the financial reports. AASB, C.A.S., 2016. Consolidated Financial Statements. Council, G.M., 2015. Infrastructure Assessment Report. Dakis, G.S., 2016. Upcoming changes to contributions and leasing standards. Governance Directions, 68(2), p.99. Harveynormanholdings.com.au, 2016. Harvey Norman Company Reports & Announcements. [online] Harveynormanholdings.com.au. Available at: <https://www.harveynormanholdings.com.au/> [Accessed 7 Aug. 2016]. Jbhifi.com.au, 2016. JB Hi-Fi | Australia’s Largest Home Entertainment Retailer. [online] Jbhifi.com.au. Available at: <https://www.jbhifi.com.au> [Accessed 7 Aug. 2016]. Kent, P. and Zunker, T., 2015. A stakeholder analysis of employee disclosures in annual reports. Accounting & Finance. Lockwood, A., 2015. There’s no containing water asset valuation methodologies. Water: Journal of the Australian Water Association, 42(3), p.36. Rudzani, S. and Manda, D.C., 2016. An assessment of the challenges of adopting and implementing IFRS for SMEs in South Africa. Zhou, T., Birt, J. and Rankin, M., 2015. The value relevance of exploration and evaluation expenditures. Accounting Research Journal, 28(3), pp.228-250.